Fantastic TED Talks about how we learn! Take some time to check out these videos. It will be well worth your time! Here is Sir Ken Robinson's talk about changing education paradigms. I will be very curious to see how this app will work. It has great potential for our students. Check out search tool InstaGrok. Ms. Amy Bonner, AC Middle School art teacher tells you why she's excited to use it with her classes! Read about it on her blog! I am constantly looking for new and better ways to filter information in my PLN (Personal Learning Network). The other day, while browsing my PLN a blog post by Tom Whitby caught my eye. Tom mentioned a tool called SmartBrief and how it’s part of his daily routine. I had never heard of SmartBrief until I read his post. SmartBrief sends you customized daily emails containing links to articles from a wide range of industries based on your interests. 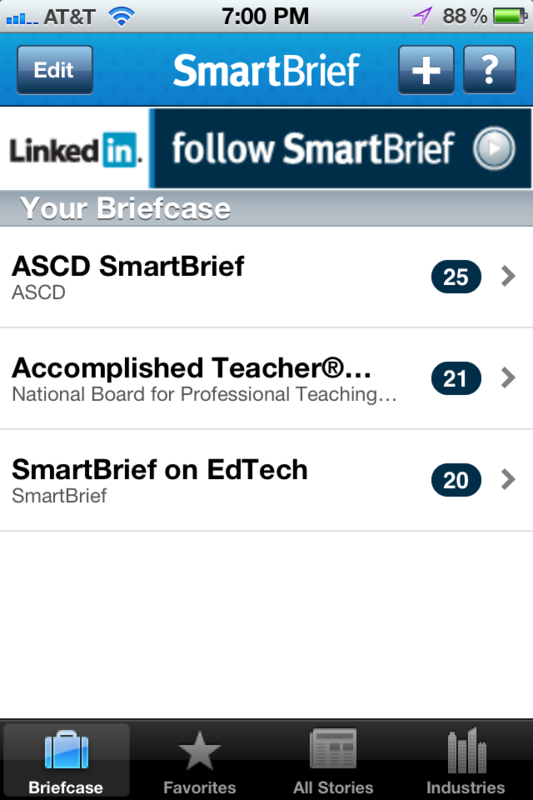 SmartBrief was very easy to setup and use. 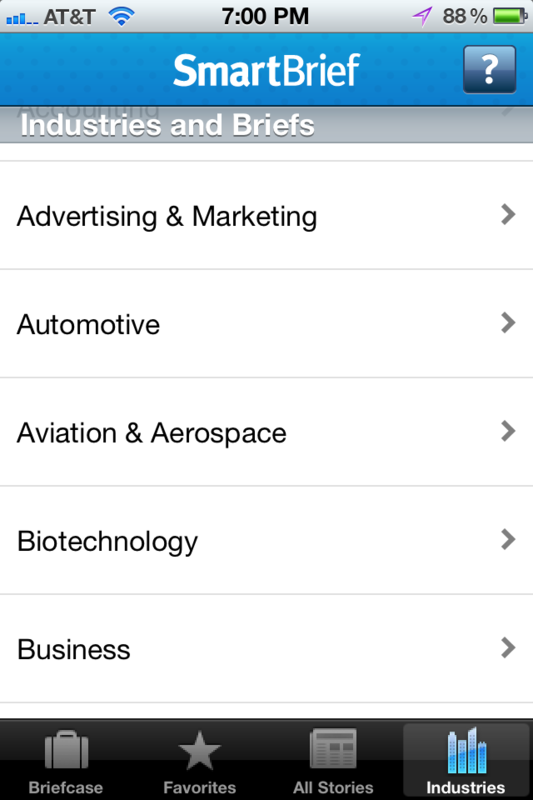 The mobile app nicely organizes your briefs for easy reading online or offline. Check it out and let me know what you think. Thanks Tom! Here are some images from the mobile app. Tech. Tuesday's are bi-weekly workshops highlighting how AC faculty that are currently using technology in their classrooms. Presenters will use "Ignite" style presentations, which are 5 minute Power Point or Keynote format and set to auto play at 15 seconds per slide, 5 minutes total. There will be two presentations per workshop followed by a Q & A with the presenter. Click here to see the first two presentations. Enjoy! All AC Upper School students will have AC Email accounts associated with our Google Apps for Education account. It will introduce our students to a variety of 21st Century Skills! It will also give teachers a way to communicate with students, share calendars, allow for collaborative projects and much more! AC is getting a language lab software update...for free! AC is partnering with Sanako as a showcase school for their web based products and software. Updates will take place in September!